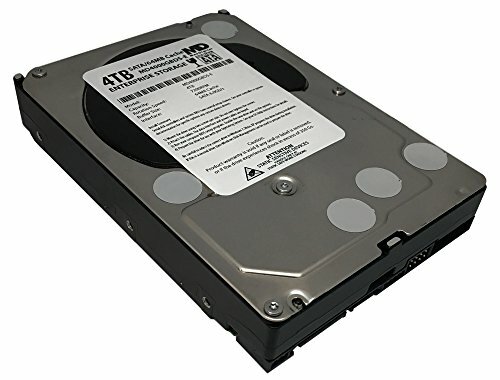 MaxDigital 4TB SATA III 3.5" Enterprise Hard Drive is a powerful combination of enterprise-class performance and high capacity required for superior performance computing and business critical environments. The hard drive delivers transfer rates of up to 6 Gbps and high random I/O rates. It is coupled with a dual processor, which provides twice the processing power to maximize performance. Industry's highest capacity nearline drive - SATA III 6.0Gb/s hard drives are available in capacities 4 TB to suit even the most demanding storage needs. Enhanced RAFF technology includes sophisticated electronics to monitor the drive and correct both linear and rotational vibration. The result is a significant performance improvement in high vibration environments over the previous generation of drives. Perfect for Datacenter Hard Drive, RAID System, NAS Network Storage, CCTV DVR and Desktop PC/Mac! If you have any questions about this product by MaxDigital, contact us by completing and submitting the form below. If you are looking for a specif part number, please include it with your message.